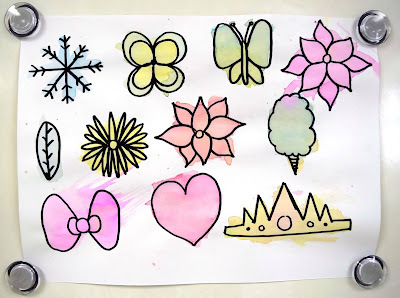 So I needed a one-day project for my 2nd-5th graders this past week because of a scheduling conflict... so after a quick google search, I came upon this post from Deep Space Sparkle. 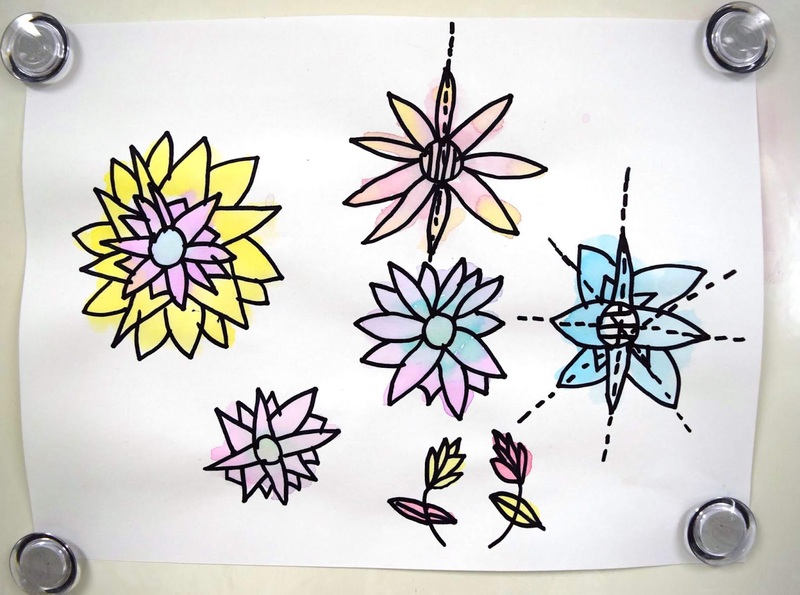 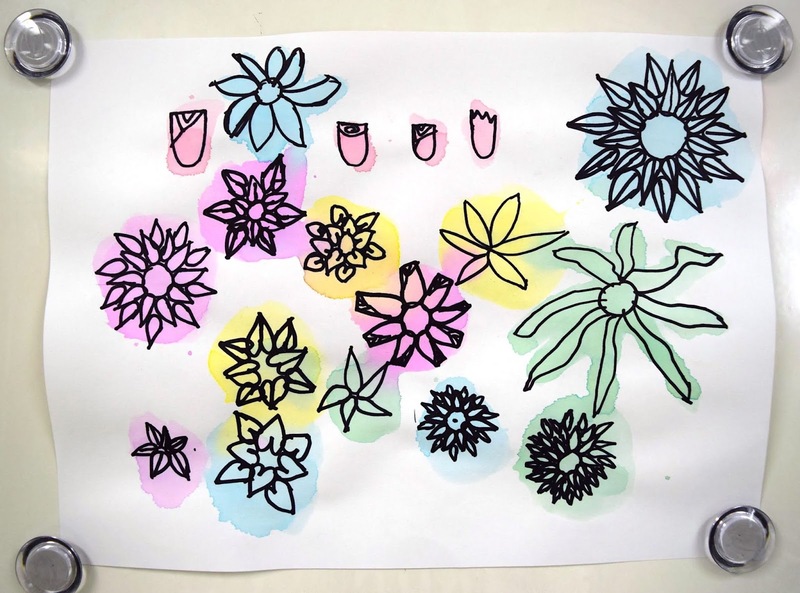 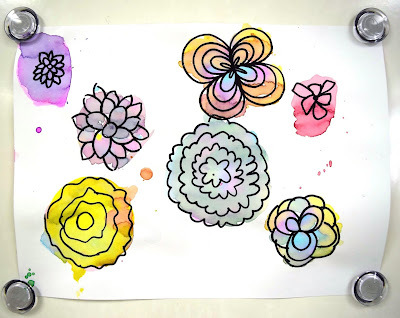 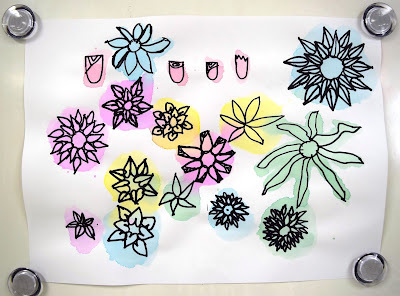 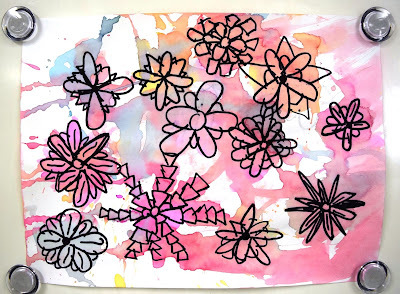 I decided to start by reviewing the difference between linear and radial symmetry with my students, then had them draw a variety of flowers that demonstrated radial symmetry with a sharpie. Once they finished their sharpie drawings, I gave them liquid watercolor paints and told them to paint it however they wanted to. 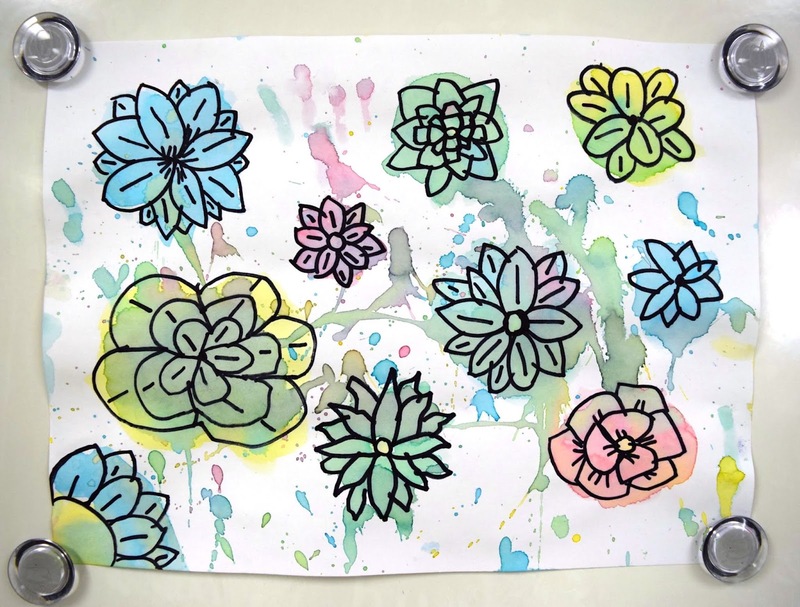 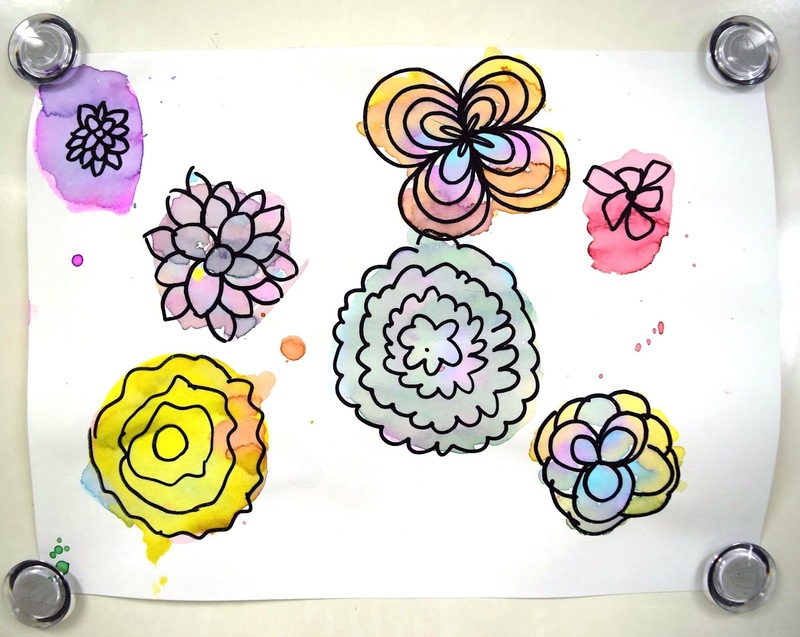 This project went very well in all my classes and the students really enjoyed getting to experiment and doodle on their papers! 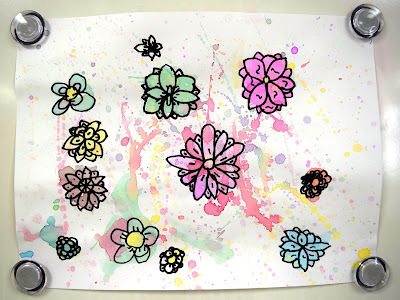 I love the Jackson Pollock splatters on the flowers. 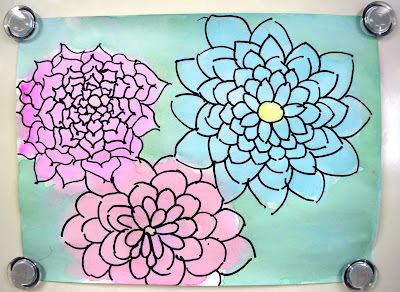 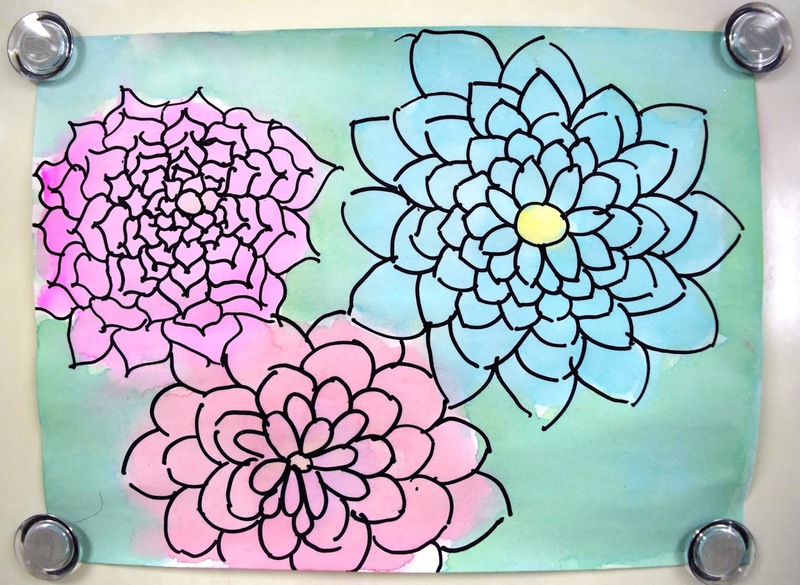 What a great quick lesson and perfect for spring!